The Licensing of Houses in Multiple Occupation (Mandatory Conditions of Licences) (England) Regulations are being ushered in on the 1st October 2018 with an 18 month roll-out period for compliance. New mandatory floor size requirements are part of the deal, with the aim of putting an end to overcrowding by rogue landlord’s and those twilight, ‘Are they tenant’s or landlord?’ types operating under spurious rent to rent arrangements that increasingly be-dog the days of enforcement officers everywhere. Also of great interest is the concomitant change to the definition of what constitutes a mandatory licensable House in Multiple Occupation. Gone will be the three or more storeys requirement, to be replaced by just a property occupied by five or more people (including children) as two or more different households. I’m interested in where this particular development will take us, having as I do, a foot in both landlord/tenant enforcement and homelessness work. When the Bill for all this was drafted, the government estimated that these changes would bring 160,000 new properties into mandatory licencing. I could find no record anywhere of how they came up with that estimate but it seems woefully short of the mark to me, for London alone, let alone the rest of England. I recently enquired of a colleague who had just carried out a series of property visits in just one ward of one London borough, how many properties they got into on the day (they didn’t get into all of them) would be considered mandatory HMOs come October. Eighty-two was her reply. Now that is just one ward, in a borough with twenty-nine and that particular ward I know of old, is far from being an area known for overcrowded slums. The next problem out of the bag is the age-old dilemma of finding the bloody things. I have written elsewhere on Tessa’s blog about the problems facing enforcement officers trying to track down problem accommodation, due in part to the fact that there isn’t a single software database used by all enforcement teams, even in the same borough and those that are being utilised, lack the facilities for the different programmes to talk to each other. And while much software doesn’t talk to other software, you also have to factor in the problem of enforcement officers also not talking to other enforcement officers. Regular readers will know I am messianic about the value of joined-up working and thinking, also highly critical of many authorities who still don’t do it, although some are getting better, albeit it very, very slowly. On the other side of the coin, the true criminal landlord fraternity frequently will only house tenants not in the system, in other words, those not claiming housing benefit for one reason or another and those not used to seeking assistance from local authorities when they have a problem. Many tenants taken on this way finding themselves swiftly illegally evicted if they do happen to claim housing benefit, later on, thus limiting the chance of intel gathering that might lead the authorities to their landlord’s cheap plywood door. Come October, existing licensing teams already stretched as a result of a combination of the above, will have even more properties to track down and the question will then be, ‘How will they do it?’. Will they employ more staff? Will they bring in better procedures? Will they just carry on and keep their fingers crossed? Probably a mixture of all three, including simply knocking on doors and asking to come inside for a nose around. Don’t knock the obvious. 99% of the time the occupants are more than happy to oblige. But then what happens when they do find them? Often it is the case at the moment, that the criminal landlord or agent simply chucks out, or forcibly relocates enough people to get the numbers down under the required five. Its that double-edged sword that the more effective enforcement teams get at finding problem properties the more it drives up other problems as the perpetrators evade action, only to keep their heads down for a couple of months before re-letting, relying on the fact that the enforcement teams haven’t got the time or resources to keep re-visiting the same properties, although you make an extra effort if the landlord or agent is one of the ‘Usual suspects’. It won’t be just the same old slum-runners who are caught out either. Many reputable landlords may find themselves falling foul of an increasing London trend for more young professionals to cram into properties in an attempt to meet the rents, either with or without their landlord’s knowledge. In addition while the space standards have an 18 month rollout period the mandatory HMO definition rules don’t, merely requiring the council to publicise the scheme, process licence applications and issue them during the first six months and where landlords will be immune from prosecution and Rent Repayment Orders during this grace period, they still won’t be able to serve a valid s21 in that time frame and any HMOs previously subject to additional and selective licensing won’t even be protected from enforcement. Which brings us to the final consideration. Under the Homelessness Reduction Act 2017 a person is deemed threatened with homelessness in 56 days and therefore owed housing duties if a landlord has served a ‘Valid’ s21 notice. But the new, more stringent HMO definition will mean that a lot of those S21’s aren’t going to be valid if the landlord hasn’t applied for a licence or been given a temporary exemption – regardless of whether or not they know about the new definition. On the last PiE statistics (recently replaced by H-CLIC) for homelessness acceptances in England, 32% are the result of eviction following service of an s21, around 40% in London and post HRA there is an increasing tendency for homelessness prevention officers to focus on S21’s and the twelve or so factors that can render them invalid. I know…………I’m training them to spot them. So all in all the new HMO definition is going to throw up a lot of questions, anomalies and problems in practice. One thing is for sure, it’s going to be a very interesting Autumn on the PRS, enforcement and homelessness front. « Can tenants sue a landlord who fails to give them the How to Rent Booklet? Can agents open mail addressed to the landlord but at the c/of address of the agent? We’ve been looking into the fire regs for 2 storey properties and what is going to be required under the new HMO legislation requirement. Our fire protection company have said that the wired smoke detection systems already in place meet the current LACORs guidelines. This has also been checked with the local fire officer and they have agreed. Can anyone shed any light on what will be required please. I spoke to a council officer and they haven’t yet been advised. HHSRS guidance requires the Local Authority to consult with the Fire Authority where the Hazard if FIRE. So, in theory the LA could set their licence requirements for 2 storey buildings to meet the lower standard, but then that would be a 2 tier licensing regime with different requirements for different premises layout which will add confusion to the requirements. You could end up with a multitude of requirements, 1 storey, 2 storey 3 and more storeys, 1 storey but full of long corridors (such as a converted care home) etc etc etc. Trying to square a circle is probably what is causing the delay in responding. I don’t think there is any Government Guidance due out to offer directions on this either. Thank you Alan and Ben. I’m not sure what to tell our landlords. The licenses need to be applied for before October. The fire brigade said they weren’t aware of the change of law until our fire company contacted them for clarification. I suspect that this is something specific to your Council. Have you spoken to them about it? If their requirements are inappropriate then if this is given as a license condition when you apply for the new licenses it may be something that could be challenged in the courts. Although I am sure you won’t want to be the person doing the challenging! We spoke with an HMO inspector for the council and they just told us they hadn’t been given any guidance on the matter. However surely the fire brigade should be giving the guidance not individual councils. LACORs is always referred to by most. The current Lacors advice (from August 2008) is available from https://www.rla.org.uk/docs/LACORSFSguideApril62009.PDF, which was produced in conjunction with the Chief Fire Officers Association. This is the document that Oxford City Council are currently using as the basis for their requirements for HMO licenses. You will want to look at sections 23 & 24 of this document. If you don’t have natural/borrowed light along the escape route then you should have emergency lighting but otherwise in a 2 storey (non-bedsit) HMO you should be OK without it. Sections 35 & 36 also have a lot of examples of the fire safety measures you should have in various types of HMO. I have installed an emergency lighting system in all my HMOs, as it isn’t that expensive, improves tenant safety and covers me if there is an issue. I use AICO smoke detectors and they sell a base that goes under a smoke detector and switches a relay when the smoke alarms go off (I’m sure other manufacturers will do the same thing). You can use this to turn on emergency lighting, and you can buy LED emergency downlighters that are fairly non-intrusive (apart from the green light). It cost me about £40 to buy the materials (I got the bases on ebay) and my brother fitted them for me. You should expect to pay about £50-£100 for an electrician to fit them for you. My local council’s enforcement officer paid a visit to my home at my request because I WAS considering turning my home into an HMO. I was sent a schedule of all the necessities including fire protection which varies depending upon whether you have an HMO type A (individual rooms rented out to separate people with separate AST’s) or HMO type B where you rent the whole house to sharers. Both types of HMO are licensable as from October 2018 and I also only have a two storey house (I guess the requirements would be even higher for a 3 storey property). If HMO type A for my property I am required to install a Grade D Type LD2 automatic fire detection and alarm system each with an independent standby supply in accordance with BS 5839 Part 6. Heat alarms in kitchen, and smoke alarms into every single room in the house except bathrooms. All interlinked through hardwired or radio. In my case fire protective boarding required in the soffit of my understairs cupboard as well as its door because my gas and elec meters are located therein. Protective boarding to loft hatch also required. Test certificate for the system required and needs to be submitted to council. The system also needs to be inspected annually to comply witrh BS 5839. If HMO type B there are slightly less requirements in that heat and smoke alarms are required only in common areas. Test certificate must also be submitted and inspected annually. Fire blankets required for both options. I have personally been suitably discouraged from any type of HMO. @Sandra Since returning from holiday at the weekend I have been catching up on developments while I was away and read a couple of articles on councils being challenged about what they could and could not demand when it comes to ordering compliance. Trouble is having read so much I cant now find the articles which may or may not help. I think Alan is probably right there. @NPM It has always been my understanding (and this may well be an urban myth) that until opened by the addressee all post actually belong to the Queen, which is why police should intervene when someone is opening someone else’s post (I can just see them putting on the blue light for that one).I have attended several visits in my time where there is ample unopened post and the police have advised that they cant open it. I don’t think the post belongs to the Queen but you are committing an offence under the Postal Services Act 2000 if you open someone else’s post if intending to act to their detriment without reasonable excuse. I can’t find anything in the act saying the post belongs to the Queen. Do you look at rental websites such as spareroom.co.uk to find potential HMOs? I have suggested this to Oxford City Council but they refuse to do it as they claim it would be entrapment – would this be your opinion as well? I think this is just an excuse for OCC to not do anything about finding HMOs. Spareroom have said they would provide a list of all potential HMOs to Councils (as they are able to do under the DPA/GDPR as it is in the public interest). Do you think that there will be a problem with the good landlords evicting tenants from rooms that are now deemed too small? Based on my viewings of properties to buy, I would estimate in Oxford 75% of HMOs in Oxford will lose at least one room (so approximately 2400 rooms). Thank god for that. I’m sure Her Maj would have been upset. Certainly council enforcement teams are as bound as the police are by the Regulation of Investigatory Powers Act (RIPA) and great care needs to be taken when gathering intel, even from public sources such as websites but I dont see how even under RIPA, gathering information from open source software created with the specific intention of advertising those properties could be entrapment, although other people may disagree. I’ve used information gleaned from Way Back Machine in court. We also use a ;piece of free software that is RIPA compliant, that records the time and date that you save a webpage in a secure format that cant be interfered with. And yes, I do agree with you on landlords evicting from smaller rooms. The new room size thing is well intended and would be very helpful for or in cases of sever overcrowding where you routinely get 15 people in a three bed house. The two worst I have dealt with were 32 people in a two bed flat and 47 people in a 6 bedroom house. Does the new HMO rules apply to live-in landlords with lodgers 1,2,3? 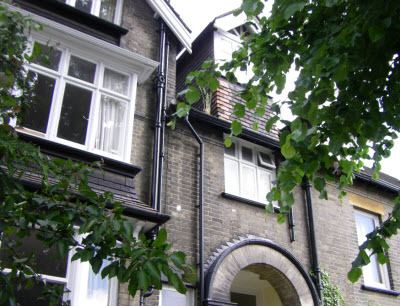 I own my flat, which is one of five within a beautiful converted Victorian house. I have lived here for over 10 years. Yesterday I was informed by the property manager we pay to take care of the communal areas, that as we now have two owners of the 5 that are renting their flats out, at over 33% of the whole of the building we are now classified as a HMO. Needless to say I am not very happy about that as a home owner and additionally this will now mean that we have to pay for a license and all of the additional fire requirements etc., required for HMO’s. I have checked with the local Council who seem to be of the same opinion. Am I going mad or does this all sound ridiculous? Is there anything I can do to avoid this HMO label? Could I have some clarification on this as we have blocks of purpose built flats and unsure if this will apply. There is a lot of information in the series here: https://www.landlordlawblog.co.uk/hmo-basics/ – there is a page specifically on s257 HMOs which I have linked to above.